The smartphone has become an important part of people's life. People spend most of their time on mobile phones. But if the smartphone is lost or stolen, the life begins to look bleak. Today we are going to tell you some steps that will help you find your lost or stolen handsets easily. If the phone is lost, the anxiety of data, photos, and other essential items become overwhelming. In such a situation, Apple users have 'Find My Phone' feature. Then there comes with the Android smartphone 'Find Your Phone' feature. This feature tracks the places and locations where you have been. 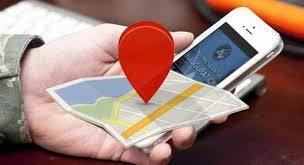 Today we will tell you how to locate the location of a smartphone with the help of Google Maps. To track the location, you have to follow some important things. In order to find lost Android smartphones with the help of Google Maps, you must first have a mobile, laptop or computer that has internet connectivity. In addition, you must remember the Gmail account's ID and password. Let's tell you the essential steps that you need to follow. Firstly, write www.maps.google.co.in at Google. After this Google Maps will open, here you have to enter the Google ID that was linked to your missing smartphone. After the id sign-in, 3 dots on the right should be visible, click on them. After this, you will see 'Your timeline' option. After choosing your timeline option you will have to enter the year, month and day, the day you want to see the location history. After entering all the information, your location history will start appearing over time. Let us know if you want to use this feature in Google Maps in an Android phone. Sign in the same ID in Google Maps that was linked to your mobile. The way to use this feature in the handset is also the same thing. This feature will work correctly when your mobile and location service are available in it.